Perfect for smaller yards or younger children – our purpose designed in-ground trampoline kit 8ft kit is the highest specification In Ground on the market. Our innovative design is completely flush to ground and will blend seamlessly into your lawn. 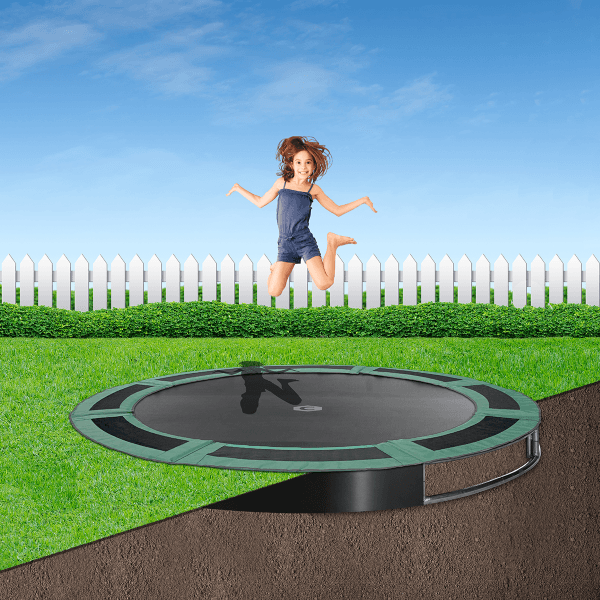 A complete kit – This in-ground trampoline kit 8ft comes with the trampoline and pads, purpose built retaining wall (which stops the soil falling back into the hole) and clear instructions. Easy to do – Our in-ground trampoline kit 8ft are designed to be easily installed yourself. Our website offers some great videos and tips for installatiotion.